I’ve always loved babies. Since I was 2, my mother ran a Montessori school and day-care; our home was full of kids. We were also the hub for the home-birth community and I made beautiful mobiles for every baby born. I loved delivering a warm meal to each new family. At 5 years old, I walked my neighborhood looking for pink ‘n blue balloons signaling the arrival of a baby. I knocked on the door to hand them a “mother’s helper” card; eventually becoming an extended part of many of these families. When I was 6 and 9, I watched my sister and brother be born at home … my job was to cut the umbilical cord. At a young age, I knew my life work would involve newborns. In college, I earned my degree in Early Childhood Education and went on to study nutrition. When I got pregnant, I was challenged with a rare condition, hyperemesis gravidarum, and though I moved through birth easily and naturally, I was a hormonal mess in my postpartum. I was irritable, anemic, anxious, and always tired. Meanwhile, my placentas waited in the freezer to be planted under an apple tree. I was immediately intrigued by placenta encapsulation. In 2007, a friend came to visit. She was a Placenta Encapsulationist and showed me photos of a placenta she’d recently encapsulated. I was immediately intrigued; surely this would have helped during my own postpartum. Why hadn’t I heard of this before? 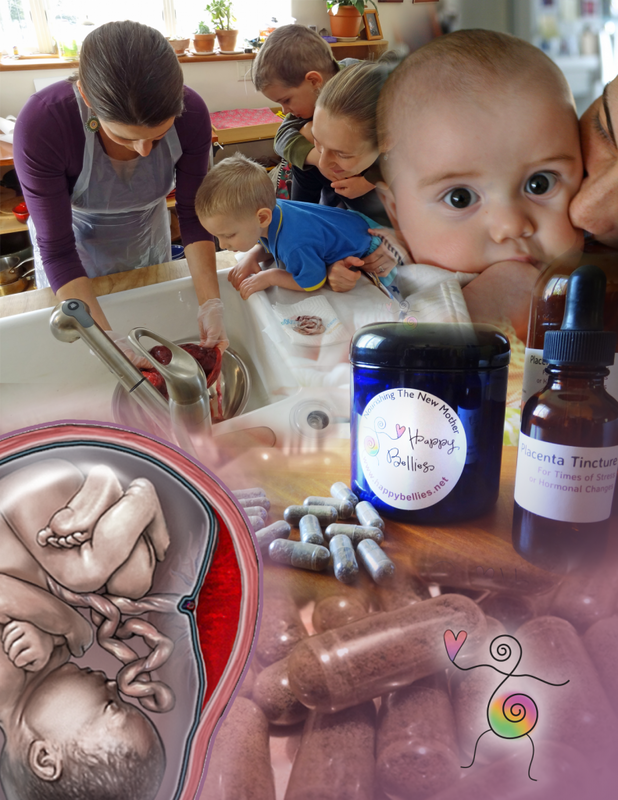 I came to realize this was a relatively new thing and when I looked up ‘placenta encapsulation’ in my home state of Vermont, I was surprised to find that no one was offering this service. Given how difficult my own postpartum was, I decided to become a Placenta Encapsulator to help moms in my community have a better experience. I applied to PBi (leading resource in placenta encapsulation), took the course, completed necessary certifications, ordered material, jumped in, and haven’t looked back. It makes perfect sense for a new mom to ingest her placenta in capsule form. Along with my love for babies is love for traditional food, like nutrient-rich marrow and liver. In my mind, placenta is up there as a revered food; one that every mammal (except whales + kangaroos) ingest after birth. Why not humans? It makes perfect sense to me that a new mom ingest placenta in capsule form. An organ rich in nutrients that can replenish her body after the hard work of growing her baby, giving birth, and support her she recovers, breastfeeds, and up at all hours. Really though it’s the hormones in the placenta tissue that women are after … what lands in the sweet spot … what has them calling their placenta pills ‘chill pills’. Copyright © 2016 - 2019 Happy Bellies. All Rights Reserved. Created by Blog Copyright.